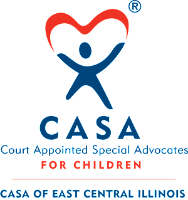 CASA of East Central Illinois is a not-for-profit organization that advocates for the best interests of abused and neglected children brought into the Coles County and Cumberland County Juvenile court system. CASA volunteers work through the juvenile court system to facilitate prompt delivery of services and to make independent recommendations to the court concerning the child’s well-being. The CASA volunteer must become a skilled independent investigator. This role includes locating and examining all the relevant facts in the case. It does not include investigating allegations of abuse in determining if abuse has occurred, but rather investigating what is in the best interest of this child. Discovering the relevant facts, however, will include more than that of examining what DCFS has already discovered. 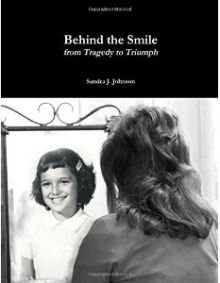 It may include checking past police records, school records, medical records, consulting with attorneys, psychologists, teachers and foster parents as well as with the parents and other relatives. As well as conducting a thorough, independent investigation, the CASA volunteer must evaluate the findings and be diligent in providing the results of the investigation to the Court through a written report. In addition to providing information to the Court, the CASA volunteer must consult with the caseworker, State’s attorney, and CASA attorney, immediately providing these professionals with any newly acquired and pertinent information. CASA will serve as the child’s Guardian Ad Litem in all court proceedings in Coles County where we are represented by an attorney. In Cumberland County we work alongside the Guardian Ad Litem as a friend of the court. 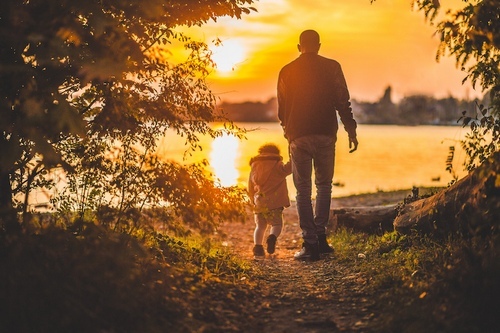 The CASA Volunteer must also monitor the case by reviewing any existing service plan, following the parent’s progress in that service plan, ensuring the child is adequately cared for and that special needs are being addressed. The CASA volunteer must monitor all court orders to ensure their compliance.